An article on how Calvin was converted. THE kingdom of Christ is strengthened and established more by the blood of martyrs than by force of arms,’ said the doctor of Noyon one day. At this period he had occasion to experience the truth of the statement. One day in the year 1527, a man thirty-six years old, of good family — he was related to M. de Lude — of ecclesiastical rank, prothonotary, and holding several benefices, Nicholas Doullon by name, having been accused of heresy, stood in front of the cathedral of Notre Dame, while an immense crowd of citizens, priests, and common people were looking on. The executioner had gone in the morning to the prison, stripped the prothonotary of his official robes, and having passed a rope round his neck and put a taper in his hand, had conducted him in this guise to the front of the church of the Virgin. The poor fellow had seen better days: he had often gone to the palaces of the Louvre, St. Germain, and Fontainebleau, and mingled with the nobles, in the presence of the king, his mother, and his sister; he had also been one of the officers of Clement VII. The good folks of Paris, whom this execution had drawn together, said to one another as they witnessed the sad spectacle: ‘He frequented the king’s court, and has lived at Rome in the pope’s service. Doullon was accused of having uttered a great blasphemy against the glorious mother of our Lord and against our Lord himself: he had denied that the host was very Christ. Calvin, not content with hearing the arguments of his friends, ‘searched the Scriptures thoroughly,’ and found numerous evidences corroberating the things that had been told him. He was convinced. ‘I see quite clearly,’ he said, ‘that the true order of the Church has been lost; that the keys which should preserve discipline have been counterfeited; that christian liberty has been overthrown; and that when the princedom of the pope was set up, the kingdom of Christ was thrown down.’ Thus fell the papacy in the mind of the future reformer; and Christ became to him the only king and almighty head of the church. What did Calvin then? The converted often believed themselves called to remain in the Church that they might labor at its purification; did he separate himself from Rome? Theodore Beza, his most intimate friend, says: ‘Calvin, having been taught the true religion by one of his relations named Pierre Robert Olivetan, and having carefully read the holy books, began to hold the teachings of the Roman Church in horror, and had the intention of renouncing its communion.’ This testimony is positive; and yet Beza only says in this extract that he ‘had the intention.’ The separation was not yet decided and absolute. Calvin felt the immense importance of the step. However, he resolved to break with catholicism, if necessary, in order to possess the truth. ‘I desire concord and unity, O Lord,’ he said; ‘but the unity of the Church I long for is that which has its beginning and its ending in thee. If, to have peace with those who boast of being the first in the Church, I must purchase it by denying the truth… then I would rather submit to everything than condescend to such an abominable compact!’ The reformer’s character, his faith, his decision, his whole life are found in these words. He will endeavor to remain in the Church, but… with the truth. Calvin’s conversion had been long and slowly ripening; and yet, in one sense, the change was instantaneous. 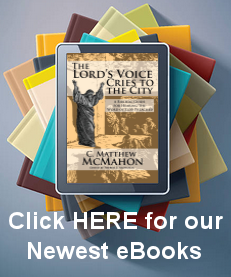 ‘When I was the obstinate slave of the superstitions of popery,’ he says, ‘and it seemed impossible to drag me out of the deep mire, God by a sudden conversion subdued me, and made my heart obedient to his Word.’ When a city is taken, it is in one day and by a single assault that the conqueror enters and plants his flag upon the ramparts; and yet for months, for years perhaps, he has been battering at the walls. Thus was this memorable conversion accomplished, which by saving one soul became for the Church, and we may even say for the human race, the principle of a great transformation. Then, it was only a poor student converted in a college; now, the light which this scholar set on a candlestick has spread to the ends of the world, and elect souls, scattered among every nation, acknowledge in his conversion the origin of their own. It was in Paris, as we have seen, that Calvin received a new birth; it cannot be placed later, as some have wished to do, without contradicting the most positive testimony. Calvin, according to Theodore Beza, was instructed in the true religion by Olivetan, before he went to Orleans; we know, moreover, that Calvin, either at Bourges or at Orleans, ‘wonderfully advanced the kingdom of God.’ How could he have done so if he had not known that kingdom? Calvin at the age of nineteen, gifted with a deep and conscientious soul, surrounded by relations and friends zealous for the Gospel, living at Paris in the midst of a religious movement of great power, was himself touched by the Spirit of God. Most certainly everything was not done then; some of the traits, which we have indicated after the reformer himself, may, as we have already remarked, belong to his residence at Orleans or at Bourges; but the essential work was done in 1527. Such is the conclusion at which we have arrived after careful study. There are men in our days who look upon conversion as an imaginary act, and say simply that a man has changed his opinion. They freely grant that God can create a moral being once, but do not concede him the liberty of creating it a second time — of transforming it. Conversion is always the work of God. There are forces working in nature which cause the earth to bring forth its fruit; and yet some would maintain that God cannot work in the heart of man to create a new fruit!… Human will is not sufficient to explain the changes manifested in man; there, if anywhere, is found something mysterious and divine. The young man did not immediately make his conversion publicly known; it was only one or two of his superiors that had any knowledge of his struggles, and they endeavored to hide them from the pupils. They fancied it was a mere passing attack of that fever under which so many people were suffering, and believed that the son of the episcopal secretary would once more obediently place himself under the crook of the Church. The Spanish professor, who came from a country were fiery passions break out under a burning sky, and where religious fanaticism demands its victims, had doubtless waged an implacable war against the student’s new convictions; but information in this respect is wanting. Calvin carefully hid his treasure; he stole away from his companions, retired to some corner, and sought for communion with God alone. ‘Being naturally rather wild and shy,’ he tells us, ‘I have always loved peace and tranquillity; accordingly I began then to seek for a hiding-place and the means of withdrawing from notice into some out-of-the-way spot.’ This reserve on Calvin’s part may have led to the belief that his conversion did not take place until later. The news of what was passing in Paris reached the little town in Picardy where Calvin was born. It would be invaluable to possess the letters which he wrote to his father during this time of struggle, and even those of Olivetan; but we have neither. John’s relations with Olivetan were known at Noyon; there was no longer any doubt about the heretical opinions of the young cure of St. Martin of Motteville… What trouble for his family, and especially for the episcopal notary! To renounce the hope of one day seeing his son vicar-general, bishop, and perhaps cardinal, was distressing to the ambitious father. Yet he decided promptly, and as it was all important for him that Calvin should be something, he gave another direction to his immoderate thirst for honors. He said to himself that by making his son study the law, he would perhaps be helping him to shake off these new ideas; and that in any case, the pursuit of the law was quite as sure a road, and even surer, to attain to wealth and high station. Duprat, at first a plain lawyer, and afterwards president of the parliament, is now (he thought) high chancellor of France, and the first personage in the realm after the king. Gerard, whose mind was fertile in schemes of success for himself and for others, continued to build his castles in the air in honor of his son; only he changed his sphere, and instead of placing them in the domain of the Church, he erected them in the domain of the State. Thus, while the son had a new faith and a new life, the father had a new plan. Theodore Beza has pointed out this coincidence. After speaking of Calvin’s vocation to the ecclesiastical profession, he adds that a double change, which took place at that time in the minds of both father and son, led to the setting aside of this resolution in favor of another? The coincidence struck Calvin himself, and it was he no doubt who pointed it out to his friend at Geneva. It was not therefore the resolution of Gerard Cauvin that decided his son’s calling, as some have supposed. At the first glance the two decisions seem independent of each other; but it appears probable to me that it was the change in the son which led to that of the father, and not the change in the father which led to that of the son. The young man submitted with joy to the order he received. Gerard, by taking his son from his theological studies, wished to withdraw him from heresy; but he was mistaken. Had not Luther first studied the law at Erfurth? Did not Calvin by this same study prepare himself better for the career of a reformer, than by the priesthood? Conversion is the fundamental act of the Gospel and of the Reformation. From the transformation effected in the individual the transformation of the world is destined to result. This act, which in some is of very short duration and leads readily to faith, is a long operation in others; the power of sin is continually renewed in them, neither the new man nor the old man being able, for a time, to obtain a decisive victory. We have here an image of Christianity. It is a struggle of the new man against the old man — a struggle that has lasted more than eighteen hundred years. The new man is continually gaining ground; the old man grows weaker and retires; but the hour of triumph has not yet come. Yet that hour is certain. The Reformation of the sixteenth century, like the Gospel of the first (to employ the words of Christ), ‘is like unto leaven, which a woman took and hid in three measures of meal, until the whole was leavened.’ (Matthew 13:33.) The three great nations on earth have already tasted of this heavenly leaven. It is fermenting, and soon all the ‘lump’ will be leavened.